Imtiaz Ali and Ekta Kapoor’s forthcoming film ‘Laila Majnu’ is set to launch its teaser today. 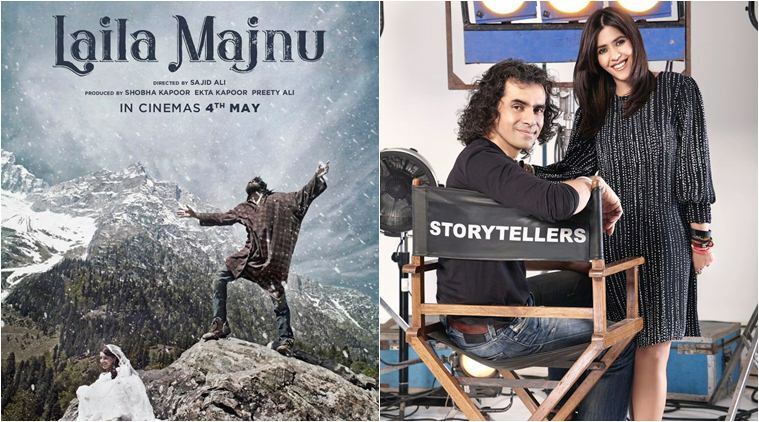 The film which is a modern day re-telling of the classic love story of Laila – Majnu promises to bring to fore Imtiaz Ali’s intensity, as he is not only presenting the film but also has penned the story for this film. The teaser gives us a glimpse into the world of its characters and the promise of Love, that lasts forever! Coming from a storyteller like Imtiaz Ali, the teaser has immense intrigue value. With Veere Di Wedding creating a massive buzz, the makers of Laila Majnu have decided to attach the teaser of their film to this one as it hits the screens today. The audiences are gearing up for the release of Veere in large numbers and the teaser of Laila Majnu will receive great exposure with this attachment. So it’s no surprise that Ekta who is a producer of both the films has made this smart move! The film which is presented by Imtiaz Ali and produced by Ekta Kapoor’s Balaji Motion Pictures is scheduled to release on August 24th, 2018!